From the migration in Northern Serengeti to the birthing season in Ndutu. Call to find out more. Redefines luxury in the Ngorongoro by combining wilderness and high end comforts. What’s your dream Tanzania holiday? Whatever you’ve been imagining, Best at Travel can make it a reality! Our collection of tailor-made tours to Tanzania are set to inspire you and show you what’s possible, whether it’s following the Great Migration through the Serengeti, sleeping under the stars in Selous Game Reserve or picnicking on the rim of the Ngorongoro Crater. Touring round the country is also a wonderful opportunity to explore lesser-known areas including the Udzungwa Mountains and Lake Manyara National Park. And what’s included when you book with us? If you’re going on safari you’ll find that flights, accommodation, meals and game drives will almost always be part of the package. What are you waiting for… give us a call and get planning your Tanzania tour, today. We have 10 Tours for you. Discover the incredible sights of Tanzania on this luxury 9 night glamping getaway! Game viewing for a week in Tanzania followed by a beach break in Zanzibar. Discover the incredible sights of Tanzania's "Lion King country" on this 13 night itinerary. This is the destination for safaris. Go game viewing in the Ngorongoro Crater, brave a walking safari with your lodge’s guide or trek to see chimps on a chimpanzee safari. Head to the Serengeti to witness the Great Migration between May and September and tackle the steep climb of Mount Kilimanjaro, Africa’s highest mountain peak. For something a little more leisurely, explore the narrow streets of Stone Town, take a boat trip across Lake Victoria and simply make the most of the nature activities on offer, such as fishing, hiking and bird watching. Tanzania is a great place for adventurous foodies with plenty of unusual African delicacies on the menu. Try Ugali, the most common dish in Tanzania, which is traditionally eaten with your hands. Other dishes to try include Pilau, a meal of spicy rice, meat, vegetables and nuts often served with cinnamon and Ndizi Kaanga – a dessert made from bananas or plantain, served with lemon, brown sugar and nutmeg. Don’t forget to try Tanzanian street food, such as Vitumba, sweet fried bread, and local beers like Kibo Gold and Serengeti Lager. The more daring can try Mbego – a beer made from bananas! There’s plenty to look forward to on a Tanzania holiday, whether it’s leisure or adventure you’re after. Discover incredible wildlife from flamingos to big cats within the Ngorongoro Conservation Area – a fascinating landscape formed by a volcano eruption nearly three million years ago, Visit Pemba Island, one of the best places for diving, and explore the plains of Serengeti National Park, the largest national park in Tanzania. Birders will enjoy a visit to Lake Manyara in the wet season where they can spot nearly 300 species of migratory birds. 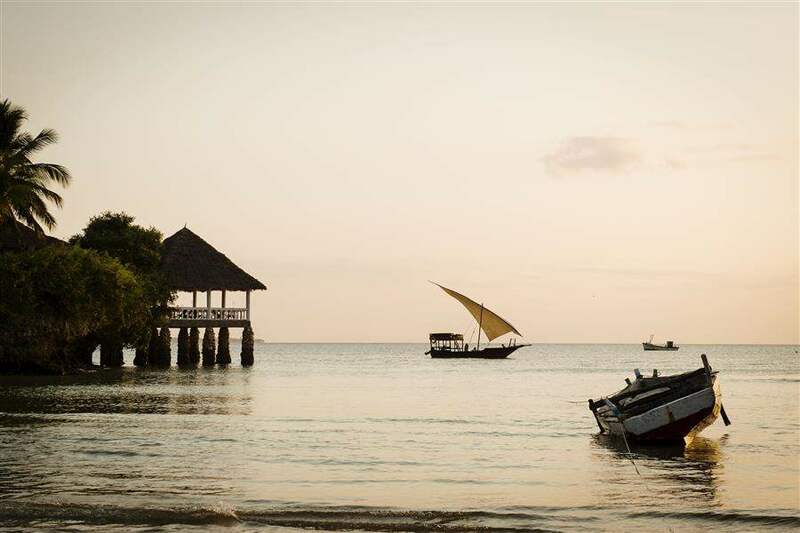 Or simply head to the beaches of Zanzibar for a post-safari beach break.